PNG is Australia’s nearest neighbour, former colony and one of Australia’s most important bilateral partners. Last Tuesday saw the official closure of the Manus Island Regional Processing Centre, the Australian-funded and managed detention centre for unauthorised boat arrivals in Papua New Guinea. Originally opened in 2001 as part of the Howard government’s Pacific Solution, the centre was closed by the Rudd government in 2008, before being reopened by the Gillard government in 2012. The agreement with PNG was expanded by Rudd in 2013 to increase the centre’s capacity and include the potential resettlement of refugees in PNG. The controversial program has been the epicentre of tensions between the Australian and Papua New Guinean governments over the last four years – the tension has only escalated in the week following its closure. Nearly 600 men remain inside the centre refusing to leave despite essential services such as water, power, food and medical supplies being cut off. The Australian government maintains that the men must move to accommodation centres in the main town of Lorengau, but they refuse to go due to safety concerns outside of the centre and uncertainty over what actions, if any, the two governments will take. UN Refugee Agency (UNHCR) officials have visited the alternative accommodation and reported that these centres are still under construction and the men cannot be housed there. The centre’s closure was prompted by the PNG Supreme Court’s ruling in April 2016 that its operation was unconstitutional, as it breached detainee rights to personal liberty and freedom. The governments of Australia and PNG set the closure date in May 2017, however preparations for the closure have been inadequate. Ministers from each country are pointing the finger at the other to take responsibility for the welfare of the asylum seekers on Manus Island. The UNHCR has warned that the situation will become a humanitarian crisis if not addressed soon. The treatment of the asylum seekers on Manus has been questioned repeatedly – following a lawsuit, the Australian Government agreed to pay $70 million in compensation to 1,905 men who had been detained at the centre. There have been reports of physical and sexual abuse, negligent medical treatment and inadequate mental health services. The suffering of those detained inside the centre, the majority of whom have been found to be refugees, is well documented. Manus Island has featured more prominently in Australia’s headlines than any other Pacific issue over the last four years. But these stories paint a narrow and unfailingly negative picture of PNG, a country of approximately eight million people and one of the most ethno-linguistically diverse in the world, with nearly 800 languages. PNG is Australia’s nearest neighbour, former colony and one of Australia’s most important bilateral partners. Australia gives approximately half a billion dollars of aid to PNG annually, making it Australia’s largest aid recipient. In 2015, then-DFAT Secretary Peter Varghese said that ‘perhaps more than any other single relationship the state of our relationship with PNG is seen as a barometer of Australian foreign policy success’. PNG also faces stark development challenges, which many Australians don’t fully appreciate. 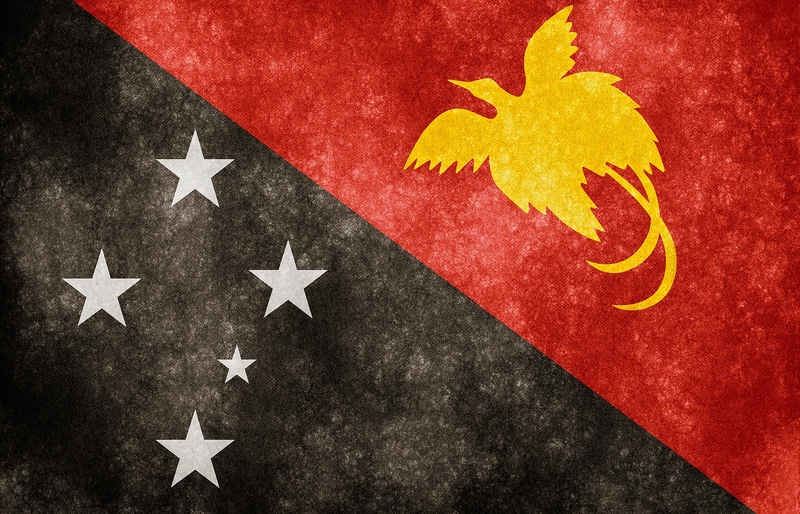 As Papua New Guinean politician Allan Bird wrote at the time of the PNG Supreme Court ruling last year, Papua New Guineans are focused on meeting their day-to-day needs – food, medicine and other basic services that their government doesn’t provide. As a consequence, argues Bird, ‘most in PNG don’t care about Manus’. Humanitarian crises in PNG, such as the drought in the highlands in 2015-2016 that affected hundreds of thousands of people, receive little attention in Australia outside of the development community. Australia’s aid program to PNG prioritises good governance yet, as Jenny Hayward-Jones argues, the Manus Island detention centre has constrained Australia from criticising the PNG Government over issues such as the corruption scandal that continues to plague PNG’s Prime Minister Peter O’Neill. PNG and Manus Island have been portrayed as ‘hell holes’ by international media and refugee advocates for different reasons. The Australian Government’s policy succeeds because the hell-hole message deters refugees and asylum seekers from attempting to travel to Australia by boat. Men in the Manus Island detention centre have experienced violence at the hands of Papua New Guineans (both security officials and local Manusians), and these stories are a key focus of refugee advocacy campaigns. While this violence is a serious concern and warrants our attention, Australians should also recognise the Manusians who are trying to help the refugees by bringing them food and supplies. Absent from much of the media coverage is the impact the centre has had on the communities of Manus Island. Traditional social structures are vital to the lives of Manusians. The PNG Government’s lack of capacity to deliver basic services mean people must be largely self-reliant. The initial agreement between Australia and PNG to establish the centre stated that there ‘would be broader benefit for communities in which transferees are initially placed’. The island has received an increased share of Australia’s aid to PNG and there has been a short-term spike in economic activity on the island as a result of the centre. But how long lasting are these benefits? And do they outweigh the disruption the centre has brought to Manus? In 2014, Jo Chandler wrote about how the centre had irrevocably changed Manus Island. She reported incidents such as the death of a 17-year-old local boy in 2014 in a car accident involving PNG’s notorious mobile police squad as a result of the centre. There have also been incidents of violence against Manusians perpetrated by detainees, such as the sexual assault of a 19-year-old woman in January this year. The Australian Government has often characterised the offshore processing arrangement with PNG and Nauru as a regional or burden-sharing arrangement, but the capacity of developing Pacific nations to burden-share is highly unequal to that of wealthy Australia. Styled in this way, it is likely to be misunderstood by most Australians who have less awareness of development challenges in the Pacific. Peter Browne, the editor of Inside Story, argues that the policy was based on a false reading of Australian anxiety about the numbers of asylum seekers arriving by boat on our shores. Both sides of politics in Australia appear to approach the issue on the basis that ‘stopping the boats’ is a hit with voters but the 2017 Lowy Institute Poll found that opinions are divided. On the question of where to settle asylum seekers currently housed in offshore processing centres on Manus Island or Nauru, 48% say they ‘should never be settled in Australia’ – but 45% say they should. New Zealand has offered to take some of the refugees but Australian Prime Minister Malcolm Turnbull has said that Australia's focus is on the refugee transfer deal with the US. A long-term solution needs to be found soon – continual uncertainty is harrowing not just to the refugees and asylum seekers inside the centre, but also to Manusians, and is damaging Australia-PNG relations and Australia’s international reputation. Photo by Flickr user Nicolas Raymond. By taking on the FBI, Trump looks like repeating Nixon’s Watergate actions in ways that should truly alarm him – and hearten his opponents. The gradual isolation and strangulation of Aleppo is part of a much broader strategy that has taken shape over the past year. Private sponsorship and other pathways should be in addition, not an alternative, to existing refugee places provided by governments.